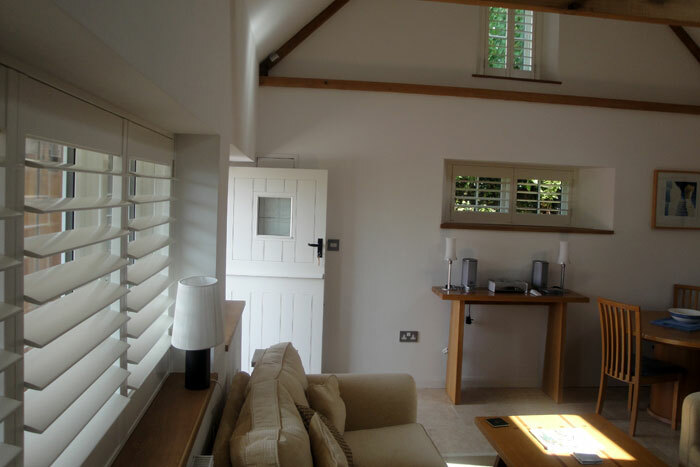 They were keen to use shutters for many reasons – to keep it light indoors, to maintain the spectacular views from the windows, and just because they loved the way the interior shutters look (fair enough!). 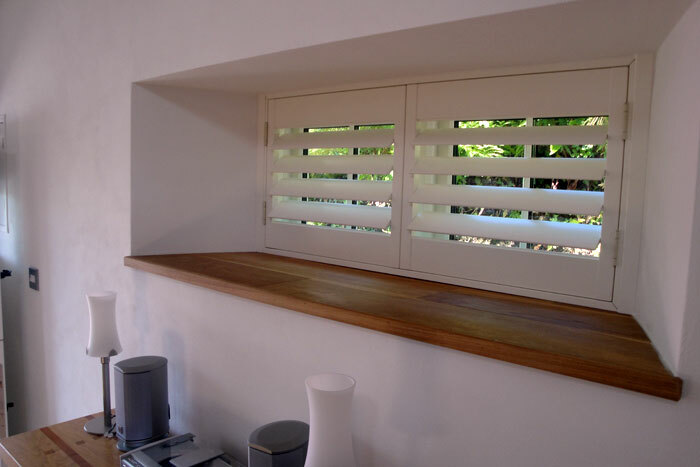 We specified hardwood shutters in our large 89mm slats in off white to give a soft and complementary look to the interior fittings. They look great. 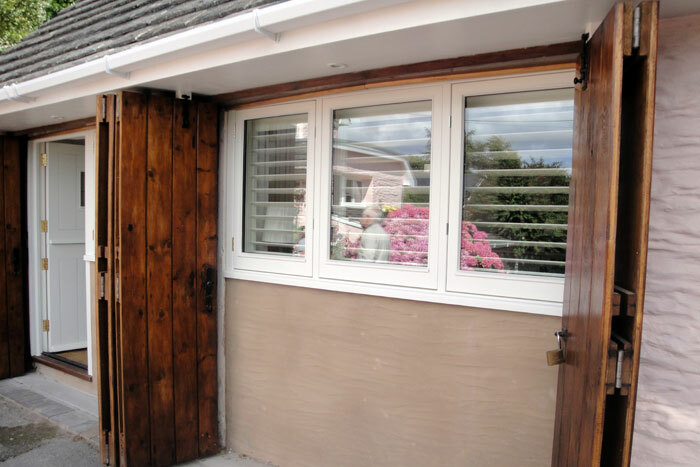 Cosy in winter and light and airy in summer.